Video chatting is the best way to stay close to your loved ones even if you’re miles apart. It’s much much better than normal voice conversations or text chatting, as you can see the person you’re talking to in real time. 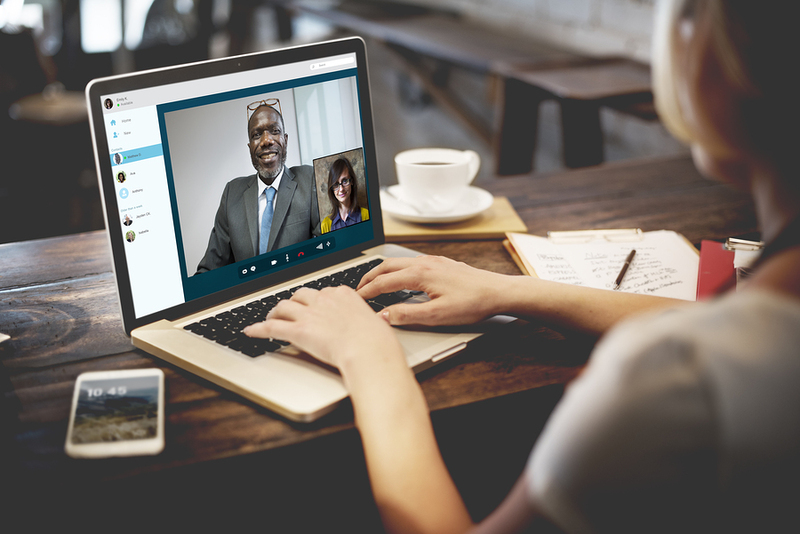 There are many online websites that you could use to video chat with your loved ones, but most of they have pretty bad video quality. Thus, it’s better to download one of these best video chat software’s on to your desktop and use them. Here, we will be talking about the 5 best video chat software that you can download and use on Windows, Mac and also Linux. Nowadays, almost every other chat client has video chat capabilities, however, not all of them are good when it comes to quality and performance. You don’t want a video chat software that slows down your system and cripples it. I will be talking about 5 different and best video chat clients each for Windows, Mac and Linux, so that no one is left out. This doesn’t mean all the software listed below will work on all the operating systems. Google has excelled a lot in the voice and video chatting area, launching products after products. All of their products have either been great or a complete failure and some just survivors. But, it’s Google talk and video chat service is pretty awesome. It’s clear, fast, doesn’t eat much resources, the quality is very good and best of all it works all the time! 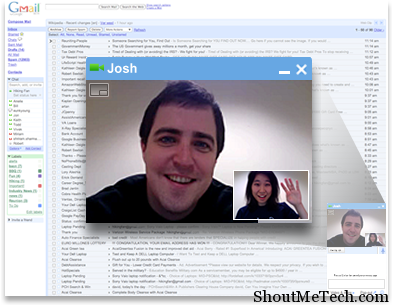 Google Talk video chat is available on Windows, Mac OS X and it works on Linux too. You will, however, need to install a this plugin for the browser and you can video chat directly from Gmail, Orkut or iGoogle. Alternatively, you can use Google+ to create video hangout. Skype is the other amazing video chat client that you can lay your hands on. It’s a free download of course and offers much better video clarity than everything else that I’m going to talk about. But, that amazing video quality also takes up a lot of RAM, sometimes slowing down your system. If you’re not running any other tasks but Skype, then it should work great! Even Facebook has used the Skype technology to integrate video calling on their website. Skype video call is a must have, and is available for Windows, Mac OS X and Linux. Also Group video chat feature is something, that will make this software stand out. Skype also offer cheap VOIP calls, which you can also look into. Also, check out Skype full offline installer, to save your bandwidth for multiple installation. 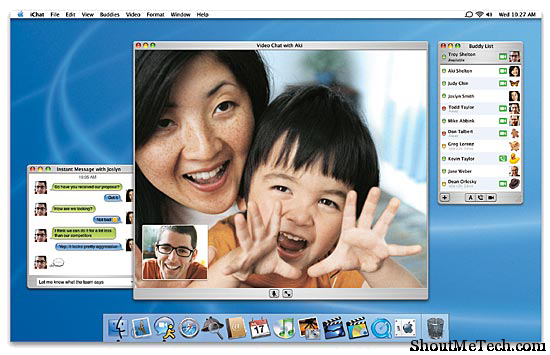 iChat is the proprietary video and chat tool that comes pre-installed with Macintosh desktops. It’s Mac Video chat application and It works great and has amazing video chat quality. 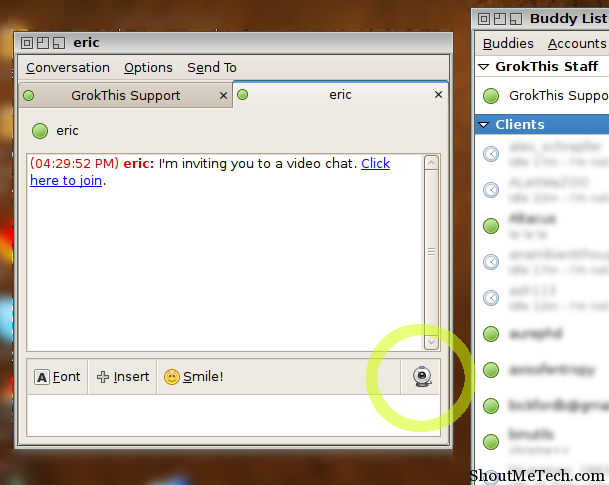 It also supports Google Talk and other IM integration so you can chat with your other friends too. You can just set it up and start using it. A simple interface makes your task even easier. 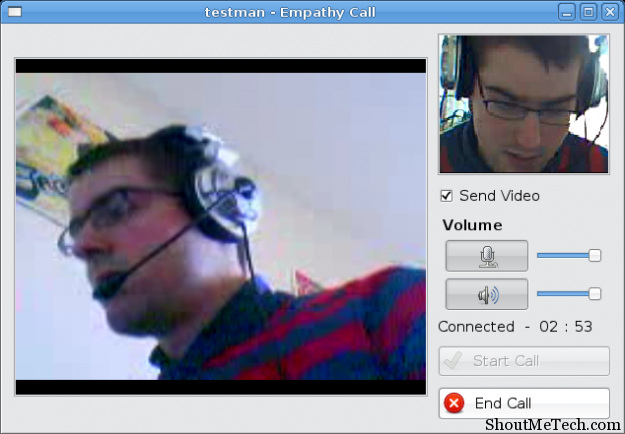 Empathy is the built in chat client that you get with Ubuntu Linux, but you can also get it on any distribution of Linux that has Gnome. Fairly simple to use and has multi client support for MSN, Google Talk, Yahoo, Facebook and more. It also has voice and video chat, it’s quality being above average. But, for Linux users who don’t want to go to the trouble of installing Skype, this is best. Pidgin is a multi messenger client that also offers amazing video chat feature. Best thing about a multi messenger? The ability to chat to people on different IM’s at the same time. You can also make video calls, however, the quality of the video and the conversation may not be that great when talking to someone on Yahoo, Google Talk or MSN using Pidgin. This client is available for Windows, Mac OS X and Linux. Needless to say about Facebook video chat, which works great and powered by Skype video technology. Though, I have never found Facebook video chat to be that effective, but may be it’s just me. If you need video chat along with screen sharing, you can try Team viewer which is very effective. Anyways, there are more clients which you can add into the list like MSN messenger, Vsee, Yahoo messenger and many more. Yahoo chat rooms are useful to find random people for video calls or you can use online Video chat room like Omegle, chatroulette for random video chat. We would love to know which one you are using and what feature you like about your fav video chat application? If you are using iPad then I would suggest to try Facetime which also have an excellent video quality but for this article, that will be out of context. So, there you go! Those probably are the best video chat software that you will ever need. Actually, I don’t think the need to use Pidgin will ever arise, because the others stack up pretty well. You decide, which one is it going to be. Let us know in the comments!